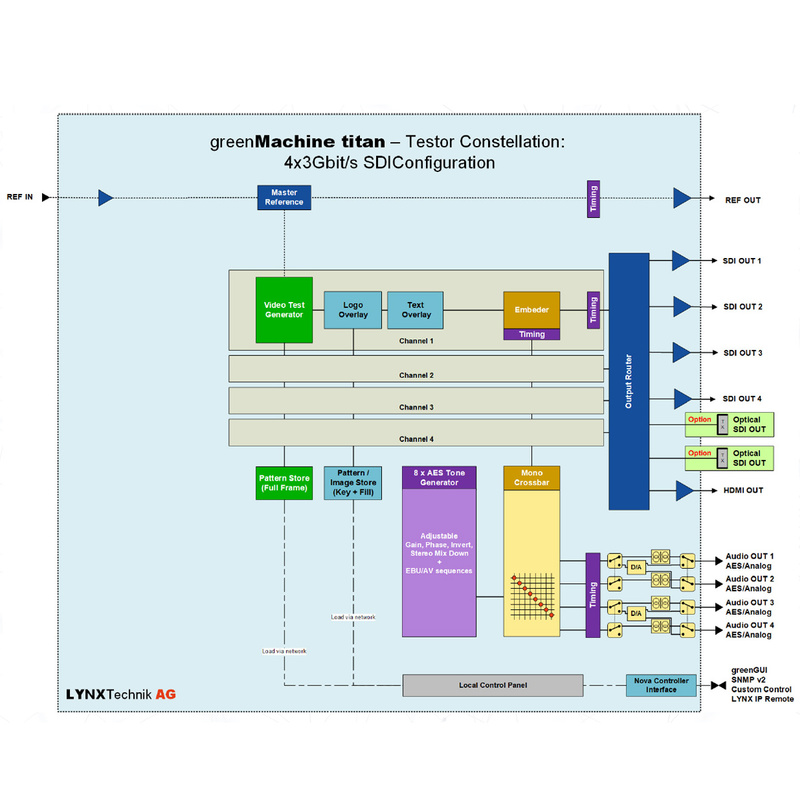 LYNX Technik has long been recognized for its feature-rich and user friendly multi-format test signal generators through its “Testor” series. 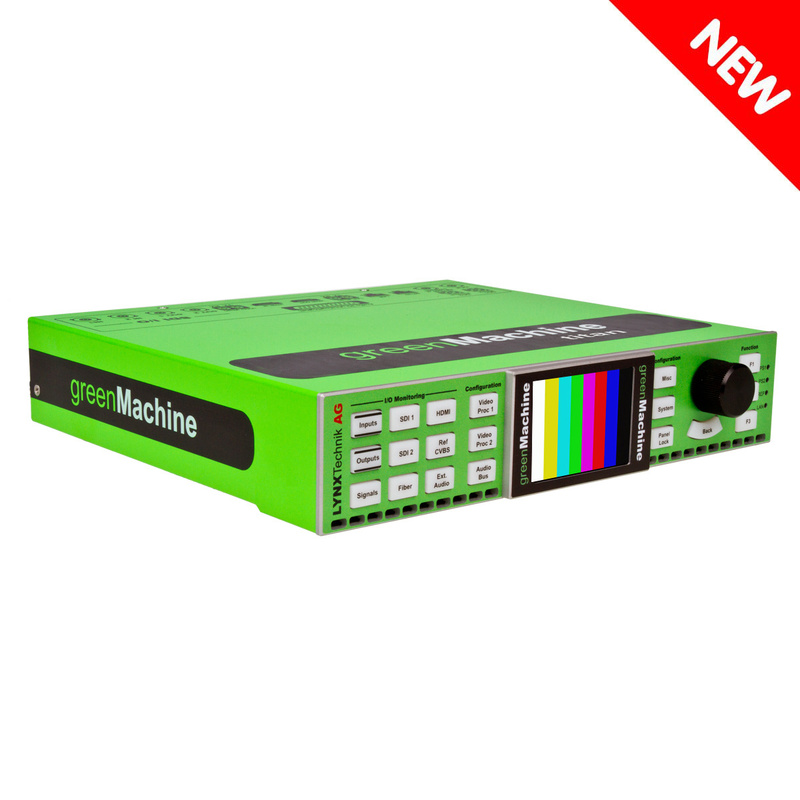 The greenMachine Testor is the company’s latest offering of test signal generators. 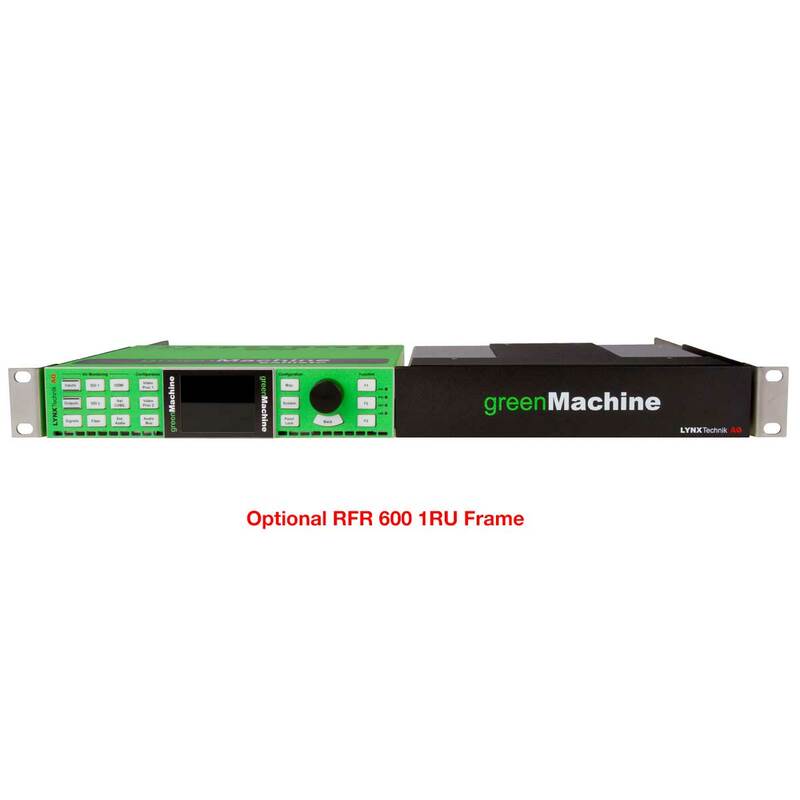 greenMachine Testor is an ideal trouble-shooting A/V tool for technicians and engineers working in the field, in-studio applications and for alignment tasks in master control rooms. Anywhere there is an A/V testing, designing, repairing and troubleshooting environment, the greenMachine Testor will be useful. 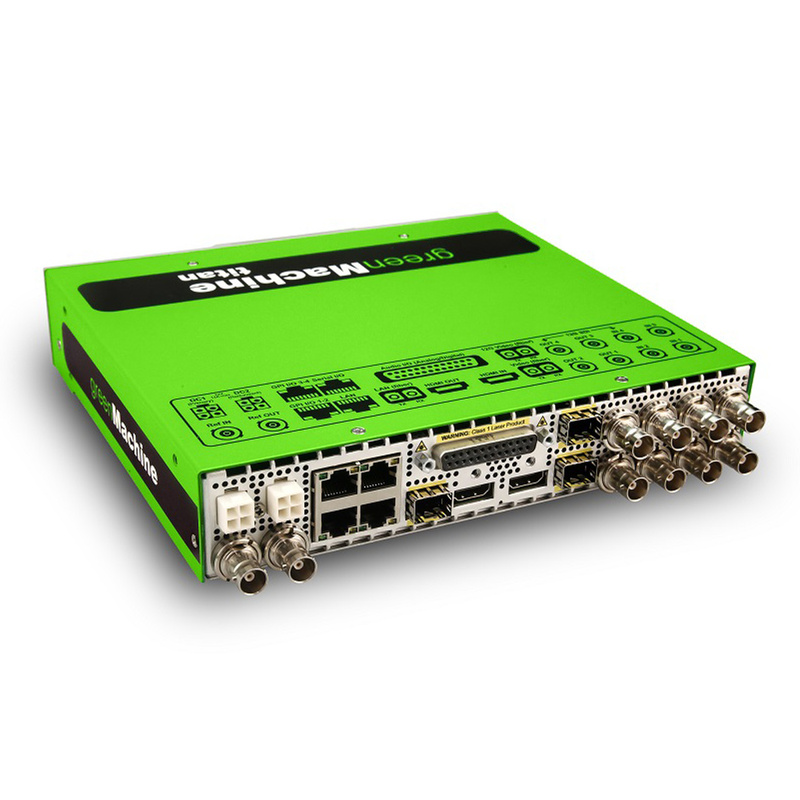 The greenMachine Testor supports 12G (4K UHD), 3G, HD, SD-SDI formats and when operating in UHD mode, the Testor operates as a single channel test generator. For 3G/HD/SD video formats the Testor provides four independent test generators. A set of standard static and dynamic video test signals and patterns are included, and for added flexibility, users can upload their own user-defined patterns. Logos and text can also be added to the test signals, which is useful for channel identification. The included collection of patterns support all video standards up to 4K/UHD. User-defined pattern uploads can be re-sampled for other standards. The greenMachine Testor also offers specialized test signals for various HDR standards (PQ, HLG, SLog3). Plus, the full collection of test signals can be shared with all greenMachine devices in a network (greenUniverse). The integrated graphics editor provides a tool for users to place images & logos, add text, and even add user-defined signal patterns and graphics. All items can be moved and edited simply with a computer mouse. A scaler ensures users can scale test patterns to match the desired output format. 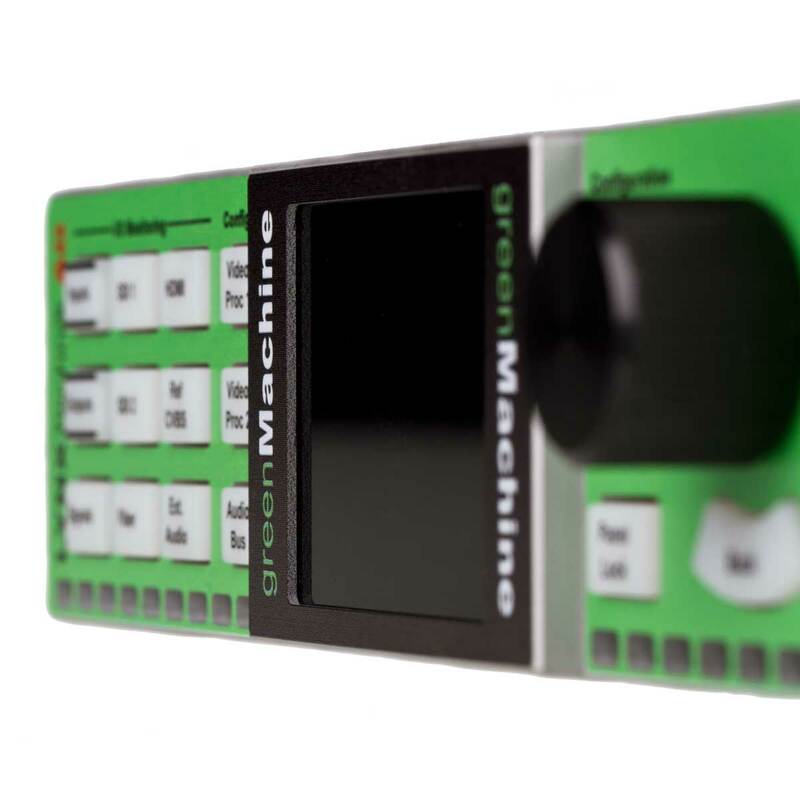 The greenMachine Testor also includes a 16-channel audio test generator with adjustable level, phase, frequency, mix-down and a dynamic EBU/AV sequence. 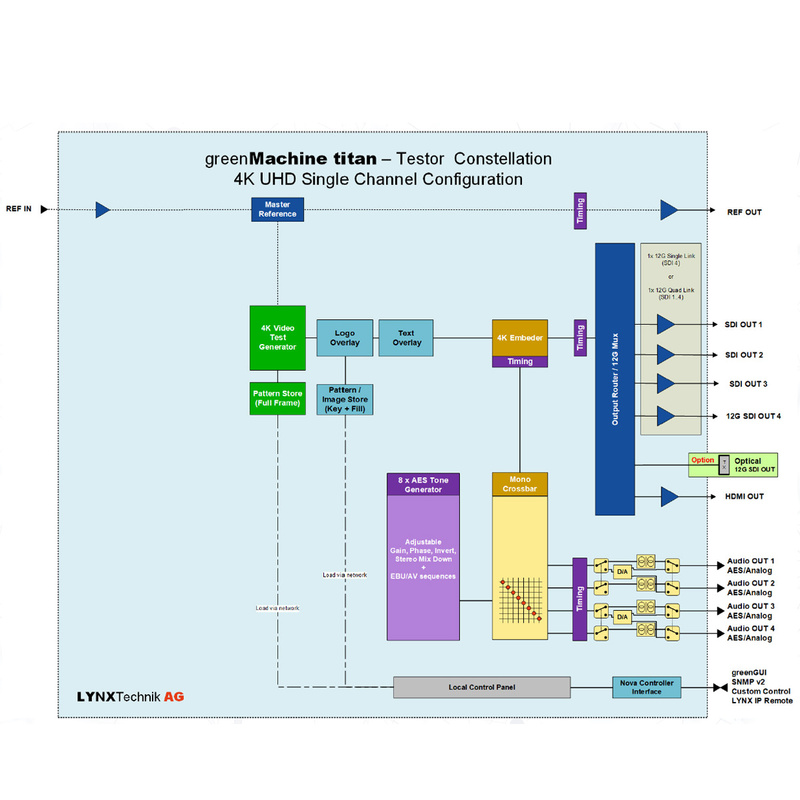 (click here for more information on the EBU/AV test pattern) All the audio signals are embedded into the SDI video or can be routed to the external audio outputs of greenMachine. 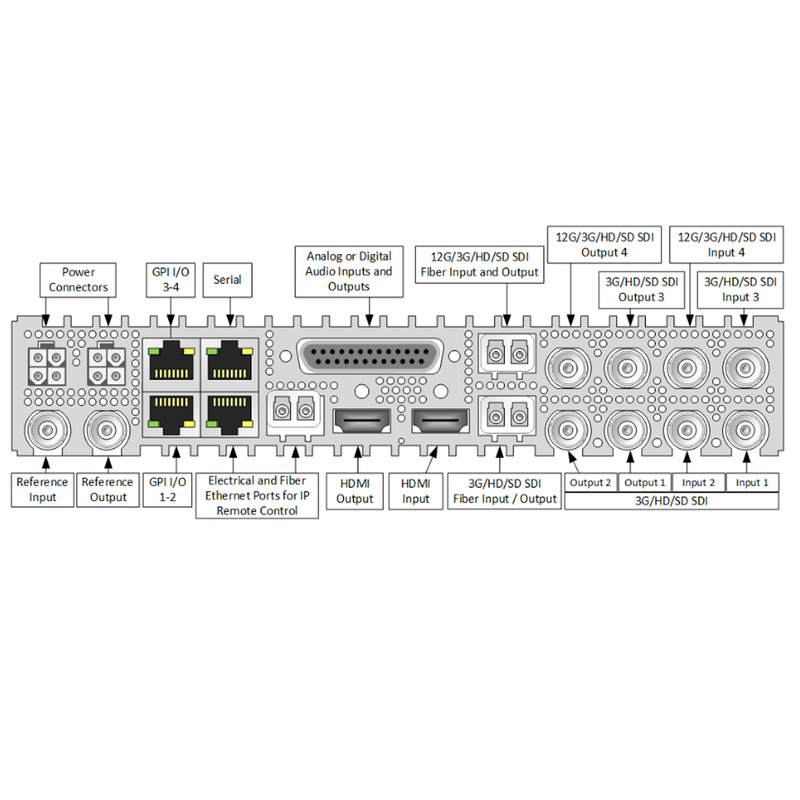 Through the audio crossbar all audio channels can be individually assigned to the embedder inputs and the external audio outputs (AES or analog). The timing of the audio and the video test signals including the output reference signal (Bi-level SD or Tri-Level HD) can be individually adjusted in relation to an attached input reference signal. The greenMachine titan is equipped with a fully featured local control interface with an LCD which can display pattern previews and audio level meters in addition to providing the graphical user interface for local control. Each greenMachine is preloaded with all the available constellations (configurations). This package has the GMC-TESTOR constellation installed and licensed. You can freely load any of the available constellations (configurations) for testing and evaluation at any time, the video and audio will be watermarked until licensed. You can have multiple constellations licensed for the same machine and switching between configurations takes only a few seconds. Constellations can also be shared if you have more than one greenMachine on the network.